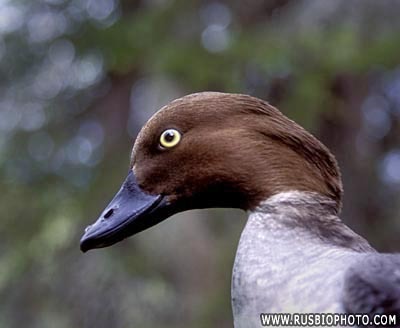 Diving Ducks, Aythyinae with Goldey Eyes, Bucephala clangula, and complete list of other diving ducks. 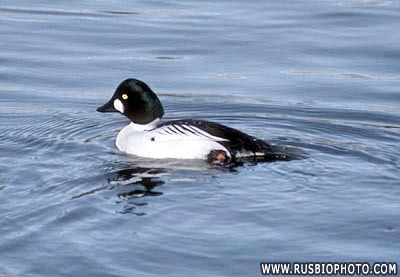 The Goldeneye is found across the northern hemisphere in temperate and arctic zones. 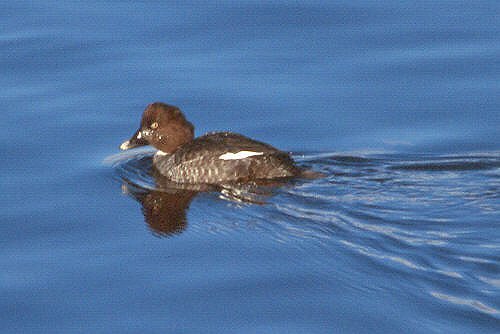 It is normally migratory but there are small resident populations in north west Europe. Scotland since 1970 and this has been encouraged by erecting nesting boxes in suitable habitat. They are in breeding plumage and form their pair bonds before returning to their breeding grounds between February and April. 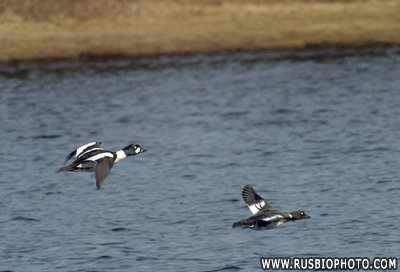 The Long-tailed Duck or Oldsquaw, Clangula hyemalis, is a medium-sized sea duck. 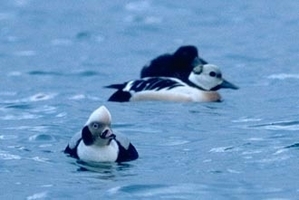 It is the only living member of its genus, Clangula; this was formerly used for the goldeneyes, with the Long-tailed Duck being placed in Harelda. Adults have white underparts, though the rest of the plumage goes through a complex moulting process. neck and back with a white cheek patch. a colourfully dressed character in Commedia dell'arte. The species name comes from the Latin word "histrio", "actor". 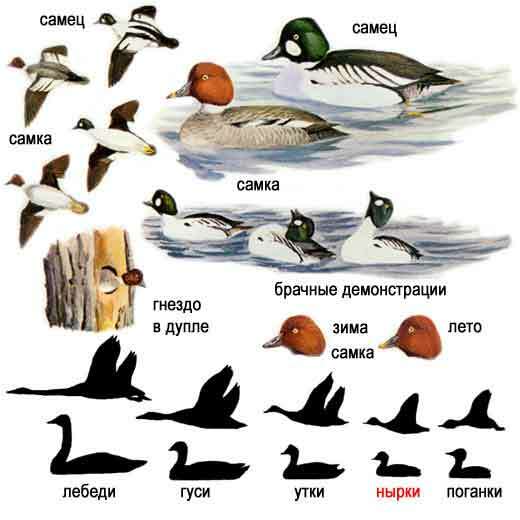 glacier duck, mountain duck, white-eyed diver, squeaker and blue streak.